Just across the harbor from Seattle, but a world apart. Crescent-shaped home maximizes light, views & lush environs. 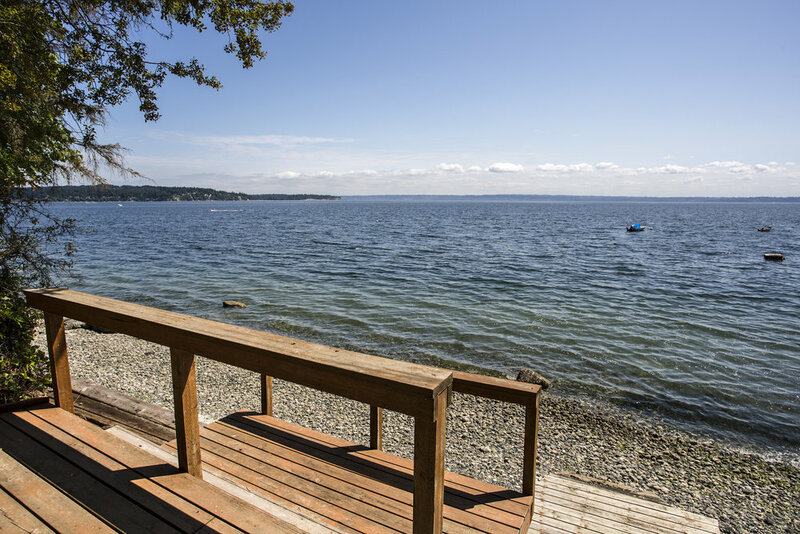 Plush lawn leads to private tidelands, 200 ft of waterfront & mooring buoy. Main house has built-in vacuum, automatic lights & skylights. Chef’s kitchen with top-notch appliances. Main floor master has wraparound views, steam shower, jetted tub. Upstairs, 2 en suite bedrooms with view terraces. Verdant, park-like front grounds. Guesthouse could be studio or office. Large view patio with vibrant gardens, scenic Puget Sound as backdrop.